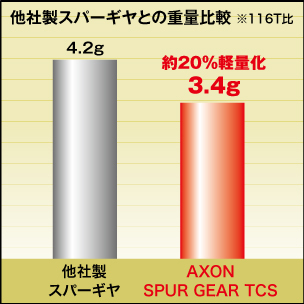 Axon Spur Gear "TCS" series is designed exclusively for high end electric touring cars. Gear pitch is durability and rolling feeling, and the outstanding acceleration performance is wonderfully balanced 64 pitch. The accuracy of resin packing density during gear molding, how to uniformly mold the resin to the tooth tip. 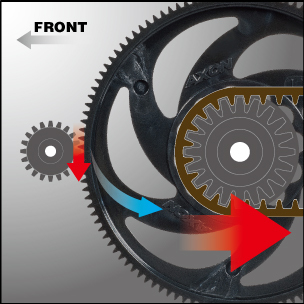 Not only the gear circle degree, but also the uniformity of the gear shape, and you can achieve durable gear rigidity. We completed the world's highest level spur gear. In addition, the overall shape is completely new design based on the theory of drive transmission, achieve amazing high performance. Since resin packing density is uniform, resin density is controlled up to the tooth tip. Therefore, gear accuracy is extremely high and highly efficient driving is achieved. Machine acceleration, improvement in top speed, as well as durability is outstanding. 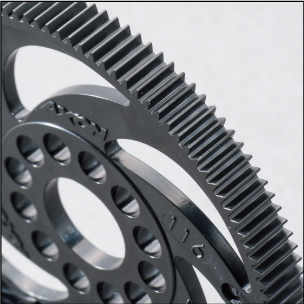 The spiral column shape which is also the point of the "TCS series" is a proprietary design that directly transmits the drive torque from the pinion gear to the center of the drive train based on the theory of drive transmission and generates high traction, and earn the best drive feeling. We are also committed to optimizing the shape of each part, making the sticky rigidity of the whole gear optimized for the material, achieving substantial weight savings! High response and excellent braking performance with high efficiency driving!